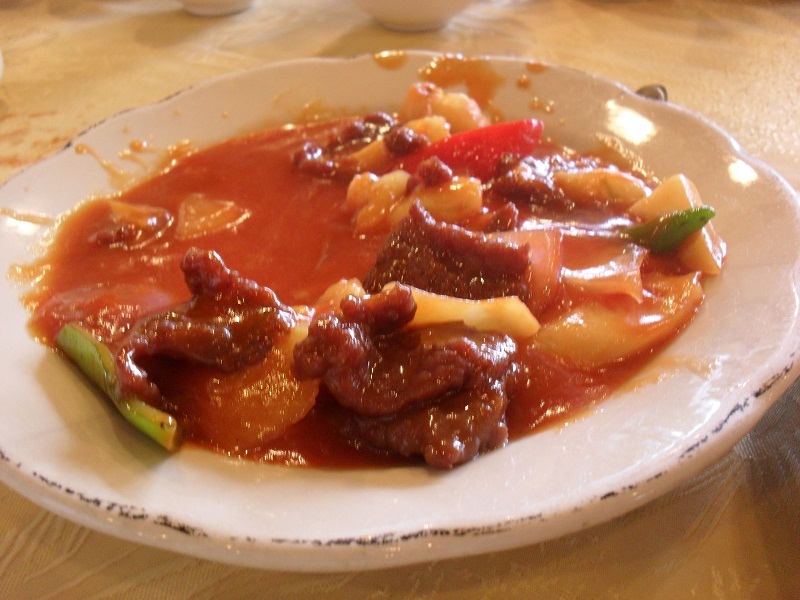 The first dish usually goes quickly. It’s a battle. Rice or noodles? This time my favourite won. In Chinese it’s called big white vegetable. 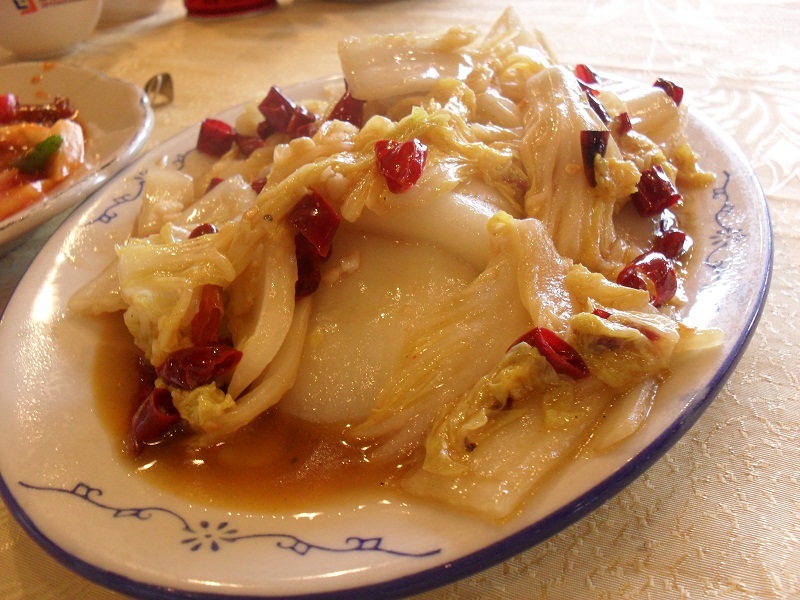 Sour and spicy Chinese cabbage. I think the chef almost forgot the nuts. 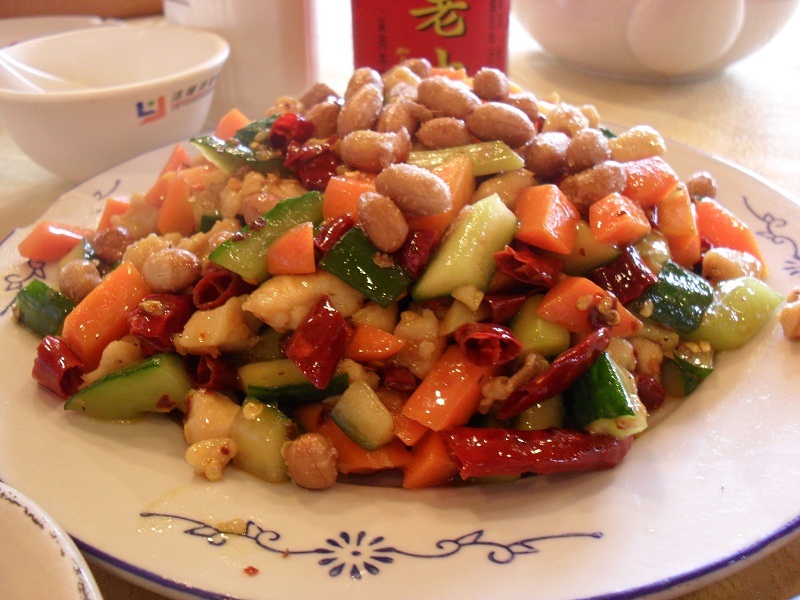 Kung pao chicken (spicy diced chicken). Hmmm, that looks delicious! I’m a very picky eater, but just normal Chicken Chao Mian or sweet and sour chicken is just define! Dumplings definitely. Whenever I crave home cooking it is usually dumpling or Baozi. 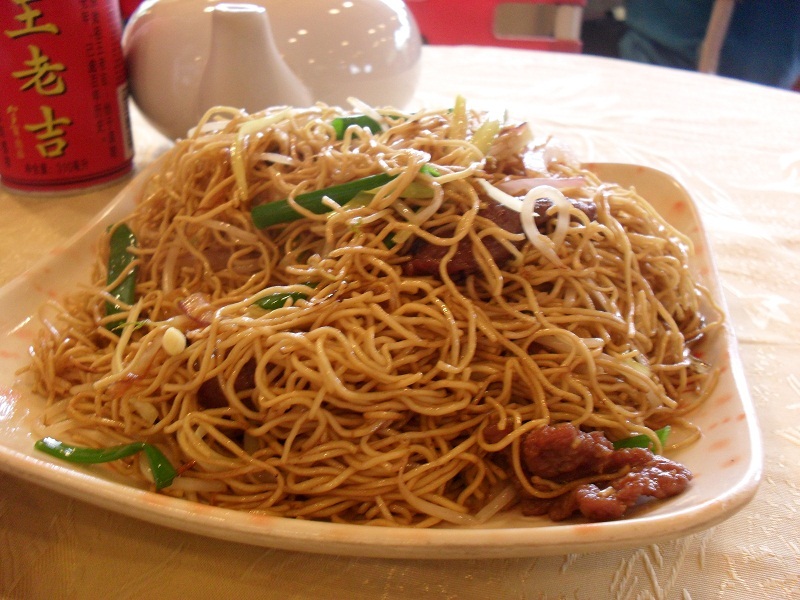 Although beef noodle can hit the spot as well. I want to ask you what do you do when you crave food from home? I’d imagine it is pretty hard to find anything that looks like Finnish cuisine in China. Justin, Dumplings are one of my favourites too! When I spent my summer holiday in Finland I took some Finnish canned meatballs with me and I’ve already eaten them two times. I make some potatoes with them. I can also make Finnish pancakes easily. But if there’s nothing at home I can go to IKEA. They have Swedish meatballs that are almost the same than in Finland. That’s an old post and pretty pedestrian dishes… I’m sure you’ve discovered some new ones by now. Perhaps I should introduce some of my boyfriend’s mother’s cookings!